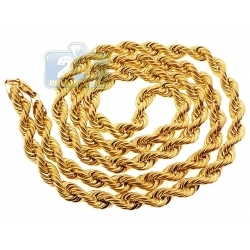 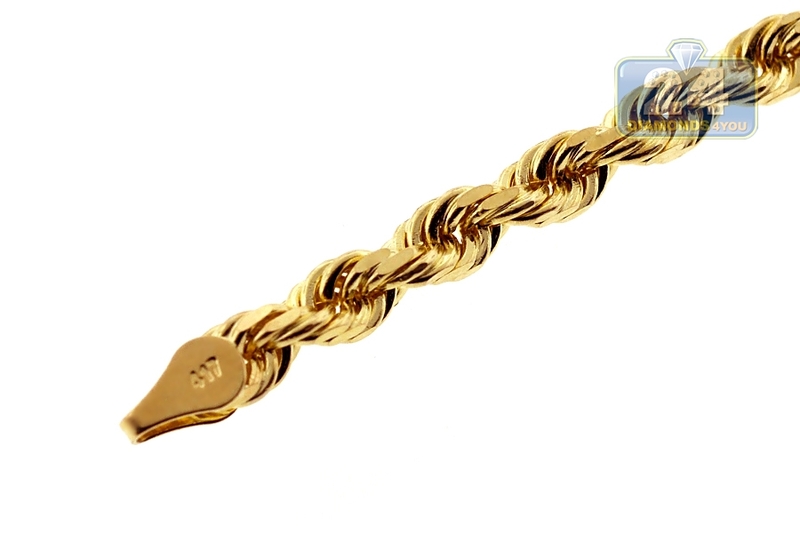 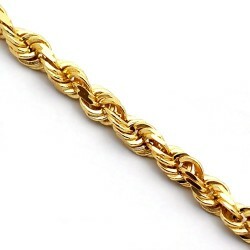 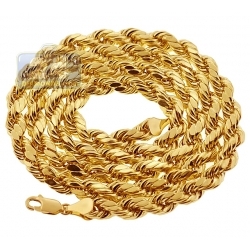 Make him smile with this handsome heavy rope link chain! 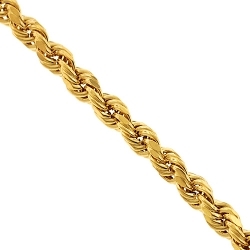 Expertly produced from solid 10k yellow gold in Italy, it's highly polished for sparkling finish. 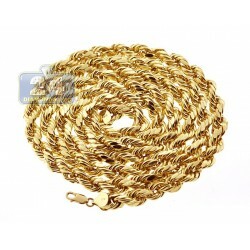 The solid gold necklace features 3.5 mm in thickness and available in 20, 24 or 30 inches in length. 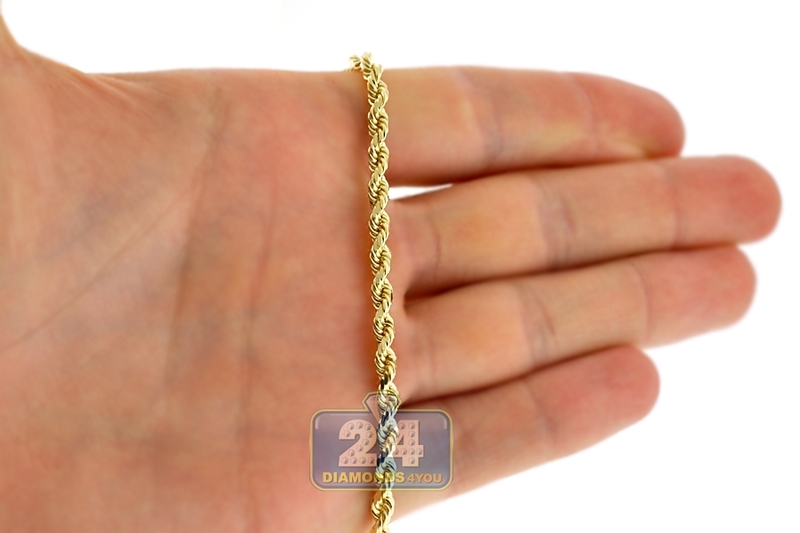 Its weight goes from 20 to 31 grams. 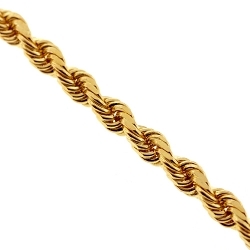 The endings are connected by a comfortable lobster closure. 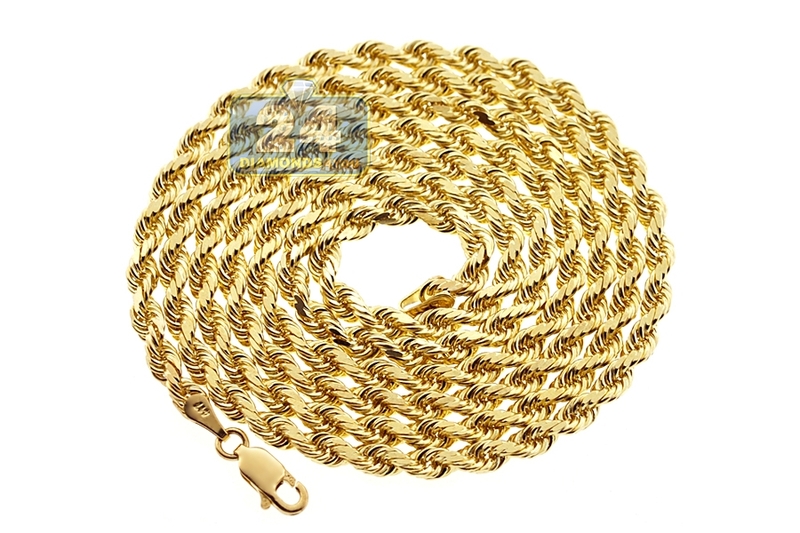 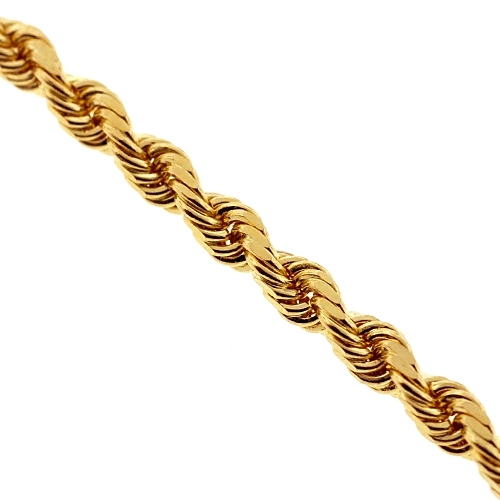 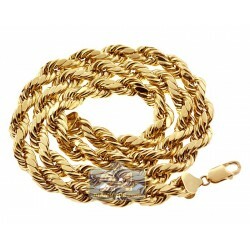 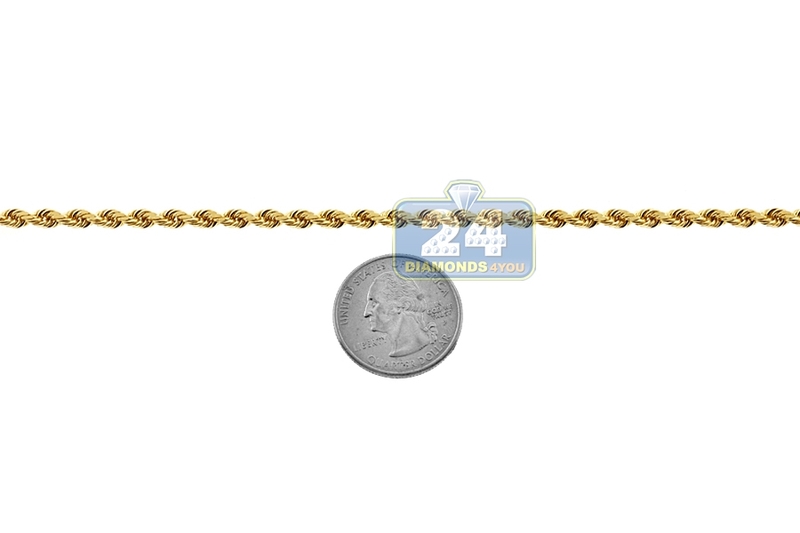 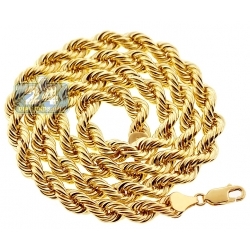 Entice men's style with classic but fashionable gold rope chain!